As much as I love to sew and cook, I always love to throw a fun craft on my site. I’ve put this page together as a place to find all my crafty ideas. What’s your favorite craft? 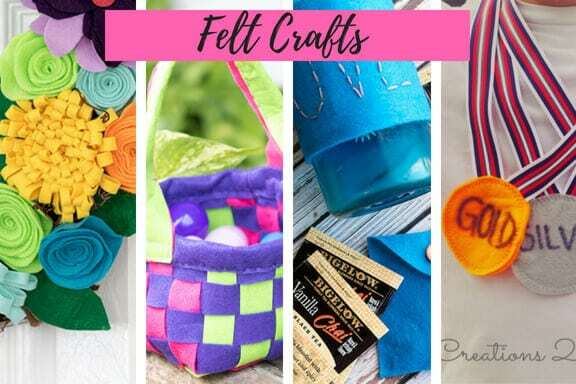 This page has ideas for Holidays, Felt Crafts, Home Crafts, Free Cut Files. If you love to craft this is the right page for inspiration and ideas. I’ve collected a few of my favorites from each category, and you can click through to the page for the full list of craft projects in each category. 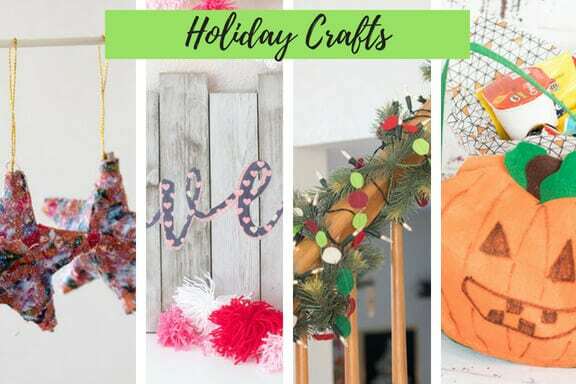 Crafts to decorate your home for the holidays. Inspire holiday spirit by decorating you home and creating fun decor. Some of my favorites are shown here: Fabric Stars – Love Pallet – Christmas Garland – Halloween Bags. You can find all the other Holiday crafts HERE. I love making things with felt. Felt is so fun and easy to work with and gives great results. I love using felt to make felt food and holiday decorations. Some of my favorites: Felt Flower Wreath – Felt Basket – Felt Tea Cozy – Felt Medals You can find all my other FELT PROJECTS HERE. These are crafts that are fun for kids to make or fun to make for kids. My kids mostly like me to make things for them, but there are also some ideas for you to make with your kids. 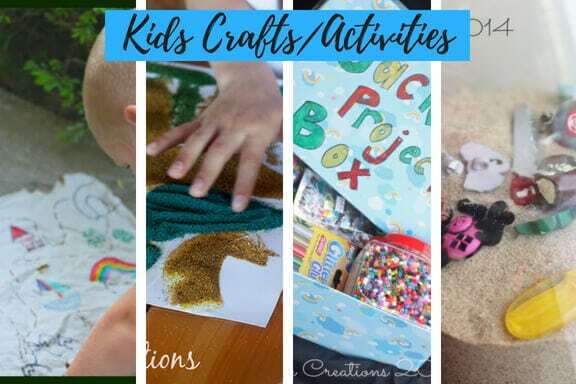 You can find all the kids crafts and activities here. Most of these are also holiday crafts, but some are just fun home decor projects that aren’t holiday. 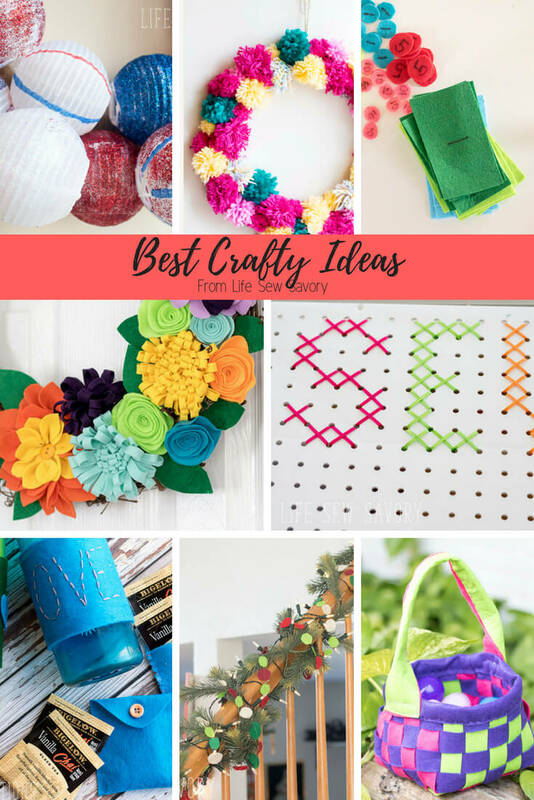 Here are a few of my favorites: Pegboard – Canvas Art – Large Felt Letters – Pom Pom Wreath. All the other Home Decor Projects are HERE. Printables!! 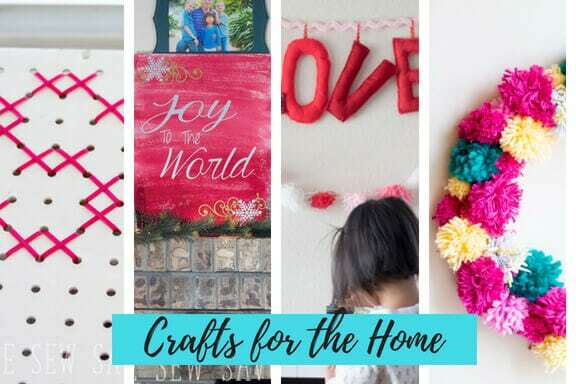 some of the easiest crafts around! Print and go with these fun printable crafts! 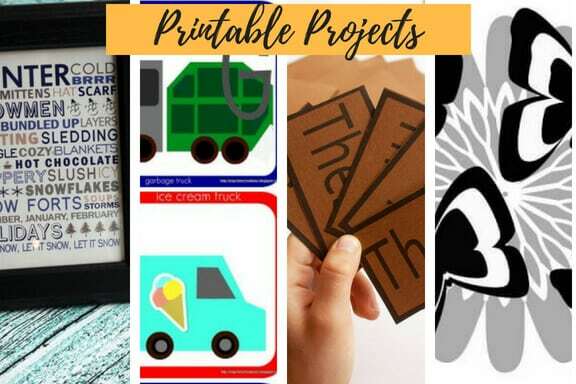 Some great printable projects: Seasonal Subway Art – ABC Printable – Sight Word Game – Black and White Baby Prints. All other Printables are HERE.